Back to School with the Disney Store. As September looms I am sure lots of us have been thinking about our children heading back to school or evening starting school for the very first time! So today I am sharing my top tips for getting back to school and I would love to hear yours in the comments too! Over the summer holidays we all tend to be a little more relaxed on bedtime and a routine which is great over the holidays but can be difficult to adapt back when school starts. Whilst it can be tempting to stick with the late nights and lie ins (if your lucky enough to get them!) try and get back in to routine the week before school starts. We try and set our alarms a week before school starts and setting a more sensible bed time so we can all adjust before school starts. Its makes it much easier if everyone is in that routine when school comes around. - Let your child get involved in picking some of the items for going back to school, whether that's stationary and back packs or even their water bottles and lunch box. Having items they have picked will make your child feel involved and gives them a little responsibility. Also if they are like James excited to go and show their friends their new things. - Try and arrange some play dates for your child with their school friends over the summer holidays. It can be quite daunting heading back to school if they haven't seen their friends for over 6 weeks so having that time to just chill and play outside of school can be really good. Even if its just arranging a trip to the park/a picnic with other parents and their children its a good chance for children to catch up outside of the school environment. - If you don't already have one purchase a family calendar. It can be a great space for everyone to write things including events at school, school trips and record any important school dates that may affect everyone such as in service days. Put this somewhere everyone can see so that the kids can get involved in checking each day too. - Start labeling EVERYTHING as soon as you can. I always underestimate how long this will take and end up rushing it. I get James involved in helping me pick name labels and let him choose a funky design so that he can easily recognize his own items from his name label. 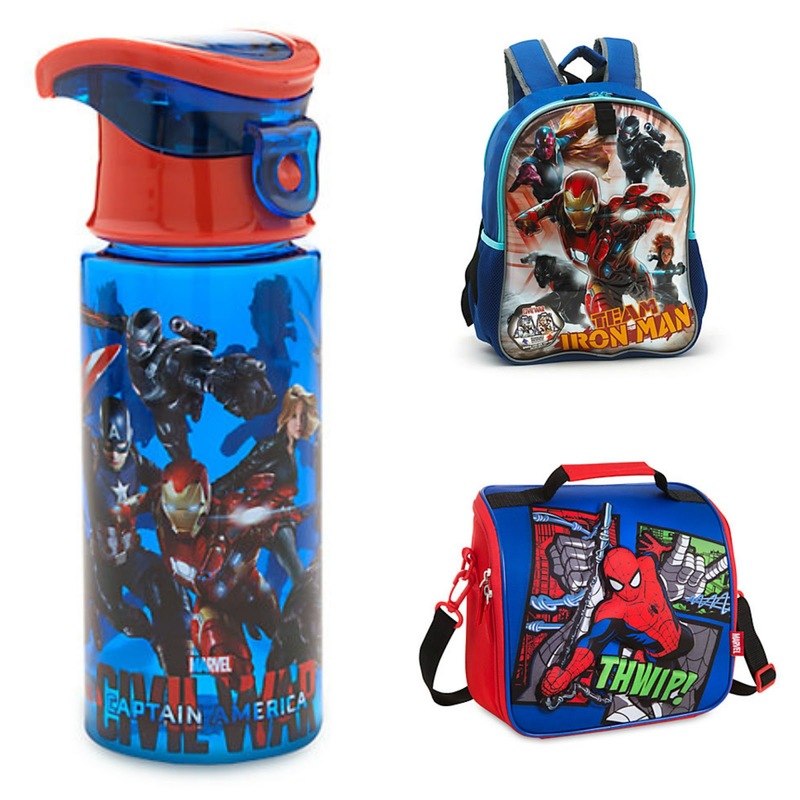 If you are still looking for some back to school essentials why not check out the Disney Store, James has these super cool Marvel goodies to head back to school with and he is very excited to take them. Do you have any top tips for those children heading back to school? I think my tip is to get them to do something educational. Especially if your child is quite small, a little reading or writing practice can help a lot. My son would absolutely love those back to school items. He still has his Avengers lunch box from the Disney Store last september and it still looks brand new! So impressed with the quality. I think that arranging playdates with their school mates is a great way of keeping the magic of school alive in the holidays! I think this is what we need to make the idea of going back a bit more appealing. I think that sticking to your normal school routine a week before would really help as it will get them settled into routine. I need to set my alarm before I go back to work! It's always such a struggle. Whoo these are so sweet. labelling is on my list! I start off with good intentions and it slips by the end of the school year. Not this year though, I lost too much uniform last term. My kids love Disney. They have Disney backpacks.